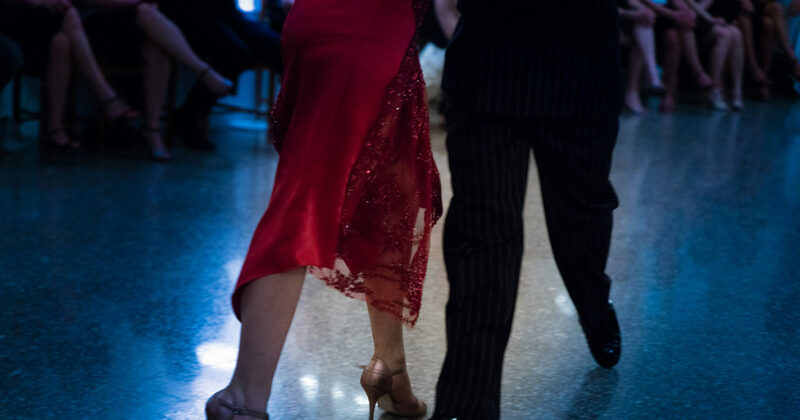 Learning ballroom dancing begins by repeatedly practicing the basic parts of a dance: resting lightly on the balls of your feet, doing the basic steps, keeping a beat. After you’ve developed some skill with each of these aspects, you learn how to put them together into a coherent pattern. As you improve, you begin to improvise, adding a spin here, a flourish there, until the whole dance is an improvisation created from these smaller parts. Eventually, you’re able to respond fluidly and quickly, effortlessly weaving among other dancers on the floor, staying within the skill level of your partner, and matching the song that’s playing. This metaphor aptly describes the process of learning acceptance and commitment therapy (ACT) as a process-based, transdiagnostic approach to evidence-based therapy. Each move must be understood on its own, and each practitioner must develop a basic fluency in the individual steps in this therapeutic dance. Increasingly, ACT researchers have shown that each of the flexibility processes and components is effective in its own right. However, these individual moves only become an artful dance when they are put together. One typical pattern begins with a focus on creating an initial openness in the client’s system of behavior so something new can be introduced; this is accomplished through creative hopelessness. Acceptance work usually follows, with an emphasis on control as the problem. The next step is generally a fair amount of introductory defusion work. Present-moment awareness is woven throughout and, in general, homework is used liberally. Self-as-context is then introduced and developed, followed by clarification and articulation of values. Next, committed action is introduced, and willingness and acceptance are reintroduced in a new light: as qualities that allow action toward valued ends. The remainder of therapy is a process of systematic behavior change, components of which may be taken from behavior therapy and behavior analysis. In this final stage, willingness, defusion, present-moment awareness, perspective taking, values, and committed action are all intermixed into exposure, skills development, and active behavior change. In the second typical pattern of conducting ACT, values clarification occurs at the start of therapy. Committed action begins shortly thereafter, and all the other flexibility processes are contextualized in terms of their relationship to values-based action. Values work is revisited throughout therapy in order to weed out the fusion and avoidance that can show up early in values work. In this pattern, it’s rare for an entire therapy session to focus on a single core process; rather, the focus tends to be on multiple processes in each session. Research protocols have been designed to follow both patterns, and both appear to be effective in promoting the flexibility processes and creating positive outcomes. However, research thus far hasn’t provided any clear indication as to when using one pattern or the other might be better. The general clinical view—one that hasn’t yet been evaluated with formal research— is that clients with little motivation for change can benefit from a strong focus on values at the beginning of therapy. This includes coerced clients and clients with substance abuse problems who are in the early stages of change. Additionally, there are some data showing that the whole model is more effective than just sections of it. Longitudinal studies show that all of the flexibility processes contribute to positive outcomes, at least when chunked into the three pillars of flexibility, or response styles: openness, awareness, and active engagement (e.g., Scott, Hann, & McCracken, 2016). Interestingly, one study (Villatte et al., 2016) found that targeting only the pillars of awareness and engagement promoted values-based action and quality of life more than targeting openness and awareness, but that targeting openness and awareness had larger effects on symptom severity, acceptance, and defusion. This suggests that all of the flexibility processes may be needed for maximum gains. While the preceding two patterns are probably the most common ways of systematically using ACT in outpatient psychotherapy, there is a third, more advanced approach. Bearing in mind that the flexibility processes are the primary targets of ACT methods, and that the techniques and tools are just means to target these processes, the third approach is to devote ongoing awareness to the core processes in session and dynamically fit the intervention to the client based on the context, setting, problem, and case conceptualization. There are now dozens of empirically tested protocols for using ACT in many different settings (e.g., primary care vs. inpatient vs. outpatient), with many different problem areas and diagnostic conditions (e.g., panic disorder, depression, eating disorders), across levels of intervention (e.g., individual vs. group vs. organization), and taking into account culture and other aspects of diversity (e.g., language, race, ethnicity, gender, sexual orientation). Each of these requires adaptation of the model to the specific context and the target of the intervention. When therapists tune in to the core processes and target them dynamically, this creates a feedback system wherein progress provides guidance on additional work. The large amount of ACT mediational data provides convincing evidence that changes in flexibility are a reliable predictor of long- term outcomes. Ultimately, this is a new, process-based approach to therapy that involves learning multiple styles, emphasizing those that fit one’s own clinical style, emphasizing those that clinical research has shown to be effective for the problems being treated, and relying on observed client changes. Metaphorically, this is like an improvisational dance in which facility in particular moves and steps must be shown but the sequence and flow are entirely up to the dancers. Experienced ACT therapists seem to arrive at this style over time. Join Us. Practice Using ACT Dynamically to Fit Your Clients.